Digitization has changed nearly everything about business — innovation, outbound marketing, the sales process, and, ultimately, communication. Young professionals today interact in a noisy, digitally driven work environment that requires a new way to communicate. This guide provides key resources to help young professionals navigate communication in the digital age during the networking process and the early stages of their careers. While technology has undoubtedly helped professionals connect with potential employers across numerous platforms, the process of applying for jobs still has its challenges. The below resources provide tips and insight that can help young professionals approach the application process in a more informed way — one that also allows them to express their personal brands. How to present a personal brand: This article emphasizes the importance of presenting a personal brand during the job application process to help differentiate candidates from the pack. Frustrations of the modern job search: This blog post offers a perspective on searching for a job in today’s noisy, digital age. Today’s resume: Resumes have changed. This article looks at what is and isn’t needed on a resume today. “I’ll call you to discuss” isn’t a phrase young professionals often hear anymore. Instead, professionals communicate through a variety of digital forms. Read on to gain insight into whether the business phone call still holds value and, if so, how to do it right. How to call someone in the modern age: Phone calls have changed. This article looks at new ways to approach phone calls. The comeback of the phone call: This blog post provides a unique perspective on the fatigue of texting and emailing. It makes the argument for wanting authentic communication and why phone calls may be the remedy. Are business phone calls still effective? : This article examines the effectiveness of business phone calls, particularly in the modern digital age. In the business world, just as in one’s personal life, it’s difficult to know how different people interpret email communication. 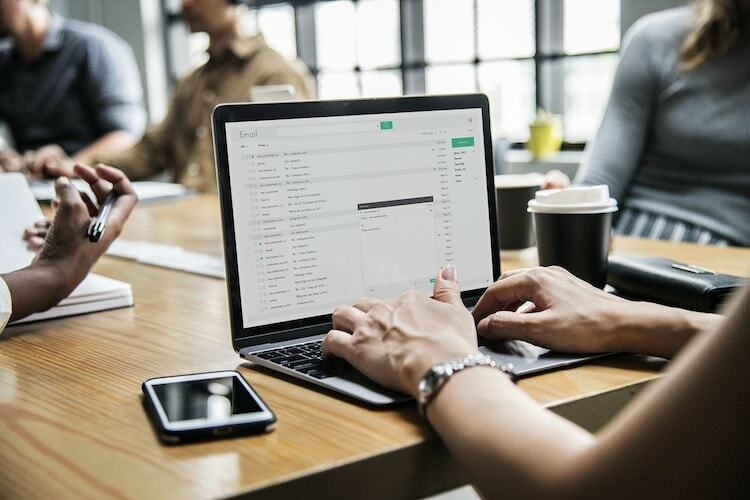 For young professionals, the importance of email etiquette, as well as one’s approach to customer service, marketing, and sales communication, can’t be underestimated. These resources provide the best practices and tips to approach email safely and elegantly. Best practices for professional email: This article covers the best ways to approach email as a professional. Specifically, it explains how to be clear and confident when communicating a message. Tips for rising interns (video): This is an informative video for interns about what to do and not to do when it comes to email communication. Email etiquette for millennials: This article looks at millennials and the way that they interact via email, as well as the pitfalls of their media habits. Texting has decidedly become one of the most efficient, effective ways to communicate — both personally and professionally; however, the abbreviated, often casual nature of texting can be challenging for young professionals to navigate. These resources offer some guidelines for texting in a professional context. Professional communication preferences for millennials: This article provides interesting data about the various ways millennials prefer to stay in contact personally and professionally. Rules for professional texting: This blog post offers 10 rules for texting in a professional environment. Texting data on millennials: This article examines the texting practices of millennials, specifically how abbreviated communication has become. From Facebook and Instagram to LinkedIn and company blogs, the use of social media is an important topic for young professionals. Many young people were using social media before they entered the working world, so it can be challenging for them to present a separate “professional” image. These resources examine the various platforms and offer advice about how to navigate them professionally. LinkedIn-specific tips: This article outlines the benefits of social networking via LinkedIn. How to use social media professionally (video): This video offers tips to help young professionals avoid the pitfalls of revealing or sharing the wrong information on social media. What young professionals should know about social media: This blog posts explores how young professionals can achieve success through social media platforms. Learning to navigate professional communication in the digital age is an essential step for young adults embarking on their careers. Phone calls, texts, emails, and social media can all have a big impact on the way young professionals are perceived in the workplace, so it’s important they learn how to express themselves effectively to employers and colleagues. The resources linked above can help new professionals avoid common pitfalls and strengthen their communication skills, setting themselves up for career success.